each doll requiring just a 25g ball of each shade. ways to add hair and using different textures too ect. and for the wonderful feedback! Oh wow Susan, they are amazing! No wonder we couldn't 'find' you for a while!!! What a tremendous amount of work has gone into the making of the dolls and patterns, they really are beautiful! I love their hair!!! Wat zijn ze prachtig met hun mooie kleedjes. En ze hebben zo een lieve gezichtjes. Love, love, love! Normally I'm not to fond of knitted doll designs but these girls are perfect! soooo cute - love the dolls hair. Love them!!! They are so sweet!! Once again you have created the cutest of patterns!! Hellooooooo Susan - I have really missed you ! I should have guessed that you were working away in your studio creating such wonderful things. Your dolls are utterly adorable, you are so clever. Ohhhh.... es una preciosidad. Me encanta. Es una muñeca adorable, preciosa !!!!!! Me gusta mucho.... Felicidades tienes manos de artista. Saludos desde España. So Sweet! Beautiful little project for my Granddaughter! The dolls look so cute. They are adorable! oh. you must be a very gifted and talented woman! Well done! They are so cute. I have to make one for my granddaughter. The dolls are adorable. I might have to send for a pattern. Absolutely adorable, lovable, huggable abd brings out the little girl in me! I definitely will be ordering a pattern. I am soooo in love. So good to see you back! 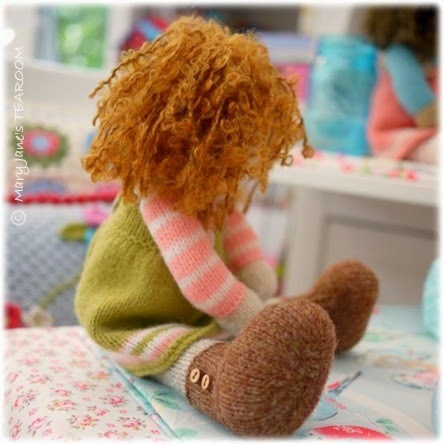 What simply lovely dolls - I am definitely going to buy your pattern! I just wish I could buy more time in a day to make all your patterns! Hello lovely Susan! How completely adorable your dolls are.....I truly love them!! I will either have to knit one or get my wonderful knitting friend to make me one, they are soooo sweet!! Love the little faces and wonderful hair, as well as the sweet clothes and shoes.....you are so talented! Hi Susan, welcome back, I did wonder were you ok. 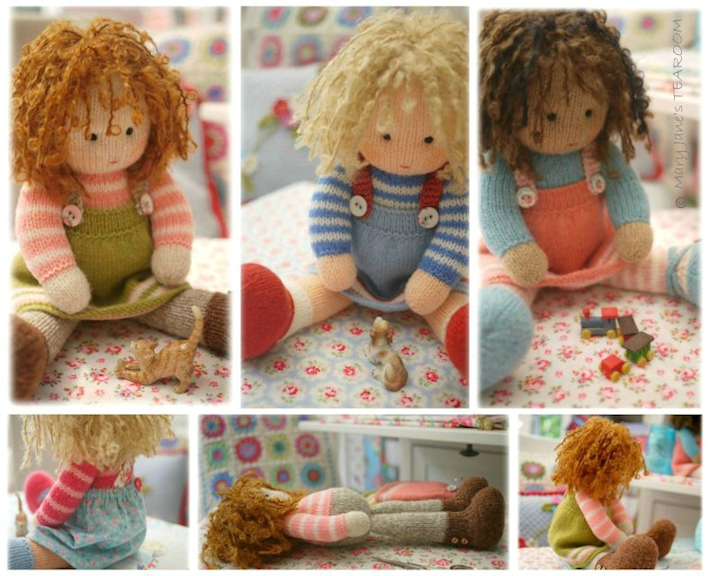 I love these knitted dolls, their hair is brill and I love their clothes too. On my list to make, eventually! well done Susan, they are wonderful. I will have to try the pattern when I get a chance. Hello dear Susan, I'm so glad you're back!!! I loooove your wonderful dolls and I'm going to buy your pattern! I hope to get to do one for me, I'm crazy for dolls! These are adorable, I love their hair and gorgeous shoes! My name is Anabela and most of the time my friends call me Belle like one of your sweet dolls :) You are really amazing! These really are BEAUTIFUL DOLLS...makes me wish I was a knitter. Love their hair and expressions. Very sweet. God bless your pattern sales. Oh my goodness.. those dolls are magnificent! I wish I was a better knitter. If you ever sell one all done.. let me know! Oooh they are so lovely!! Dearest Susan, wow, these are for sure the cutest knitted dolls i've ever seen - congrats - such great work! Have a fabulous day ahead! You have been working magic these past few weeks! Your dolls are absolutely enchanting and I have fallen for the charms of the colours you have used. The French say that the Devil is in the detail. I don't agree! The détails you have included in your designs: the texture of the hair, the shoes, the clothes, make your dolls so very precious. I am quite certain I will be purchasing this delightful pattern. I am totally into doll-making these days. Making up my own pattern is a slow, slow process but seeing the beauty you have created has inspired me greatly. These are just completely gorgeous! And it was lovely see a post from you popping up in my blog feed. I had missed your happy, colourful posts. YOU ARE AMAZING! I am very late in visiting for I am always on the lookout for your newest posts! But a bad storm ripped through here and knocked out our electricity and internet services for 24 hours! The dolls are absolutely gorgeous <3 I am not the knitter capable of tackling one of them, but I am looking forward to seeing all the more talented knitters' creations. As a long time fan and purchaser of your gorgeous patterns I have to say these beautiful little dolls have to be my favourite. 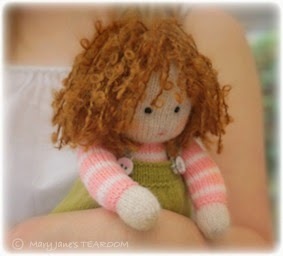 I love dolls, especially knitted ones and Belle, Molly and Layla have the prettiest faces. I have my pattern and am off to order yarn as I can't wait to get started. Thank you so much for sharing your wonderful talents. It's so nice to see a comment from you my friend! Yes, I am at the helm again this year for what I hope will be yet another fun opportunity for everyone to get super creative and to make new blogger friends! Think about it, then let me know this week IF you can participate. I need to put up another blog post tonight or tomorrow as a reminder before the party. Well I was right Susan, and I knew if you designed a doll it would be just perfect. These dolls are very cute and cleverly done. The photography in the pattern is excellent - yes I bought the pattern even though they're bigger as you mentioned. I've been in Wales all week or I would have seen them on Monday - I'm just back and I'm going to sit down this evening and enjoy looking through the pattern. Well done, I think you've designed a doll that will give lots of knitters and little girls much pleasure. Do you sell the patterns already printed please? Wow... I have been moving and haven't had as much time to visit all my favorite blogs and I'm so impressed... These dools are absolutely gorgeous! !, so so very cute . You have impeccable taste. The colors, the hair, very single detail is absolutely perfect. I must get my needles out again, your dolls are so yummy! so....so gorgeous!!! You have a magical touch!!! 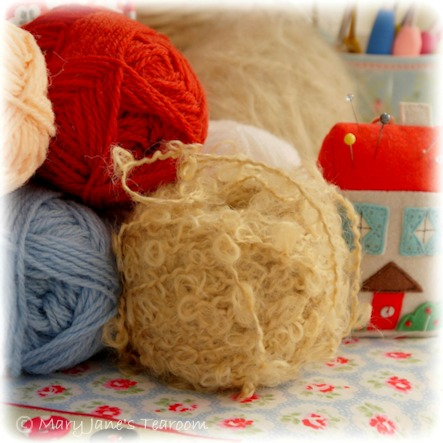 Oh wow, this is so sweet that makes me want to knit, I do not know much, all I know is knit and purl and haven't done anything besides a straight scarf, do you think I can learn how to knit a lovely doll like this? Oh again, this is so so sweet! Oh Susan, your new dolls are just so Sweet!! How Precious! and....so well made! I love everything about them right down to there little shoes! Wow, so cute!! Can't say who's the sweetest, they are all real beauties :-). Great job, Susan! Wow these dolls are so gorgeous - I wish that I could knit. Everything about them is adorable, I especially like the hair. School for me is starting early this year; August 25 is the first day of school and I am still not mentally ready! These have to be the sweetest little knit dolls I've seen! 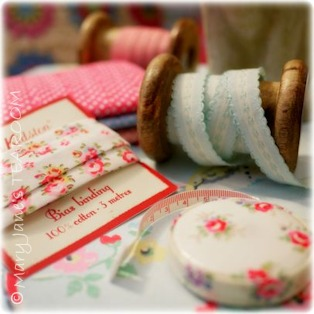 Mind you, I still have to make some tea mice from the patterns I purchased from you! A nice fall project, I think. ...so excited I've just shared a link to your FB page and picture of your girls and also of Romeo on my FB. I don't know if you remember but I don't knit so I flung out a plea to my sisters as they do, saying I really wanted someone to knit Romeo for me! A few minutes yes just minutes I had a reply on FB from my sister in NSW Australia to say she'd love to try one of your patterns and to make it for me. I am now off to your shop to buy the pattern and to send it to her. Pattern duly purchased and sent to my sister in OZ. I can't wait to receive at last my very own Romeo! oooooh! a crochet version...yes please!!! PS: Mediterranean giveaway now open to all!